2. Flexible and easy to use. 3. Suitable for indoor & outdoor decoration. 5. Solar powered panel is stood by a 20cm garden spike. With ON/OFF, MODE switches. 6. 2 switch of the solar control box, one is Mode (Flashing mode convert switch), another is Power On/Off(After turned on, can automatic lit on and charge). 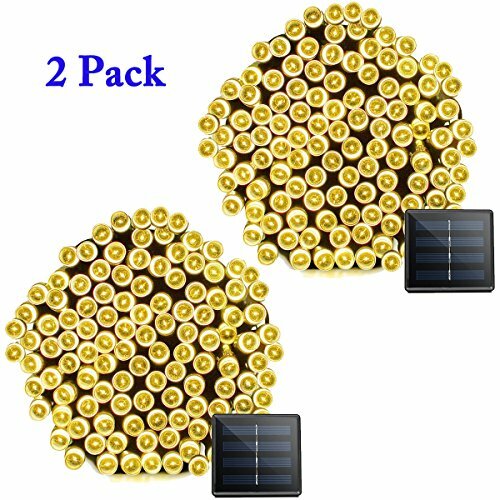 SOLAR POWERED-The solar lights gives a more relaxing glow for Halloween, wedding, party, family gatherings and christmas decorations. FANTASY-2 Switch,8 Modes ,perfectly match your bedroom decor make it always looks like are ready for an informal gathering. LIGHT YOUR WAY HOME-Automatically lit up when night comes,you can easily find the way home. WATER RESISTANCE-Perfect for indoor and outdoor decorations. WIDE DECORATIVE OCCASIONS-Home, window, bathroom, festival, Holiday, shows, restaurant, hotel, yard, garden, patios, commercial building, shopping center etc. If you have any questions about this product by VMANOO, contact us by completing and submitting the form below. If you are looking for a specif part number, please include it with your message.